James F. Smith Elementary School is the 17th school to open in the Evergreen School District in San Jose, California. It is located in the eastern foothills of the Mt. Hamilton Range of Evergreen. JFS, as it is often referred to, opened in the fall of 2000. Current enrollment is approximately 745 students. The school provides a family-oriented, nurturing, and safe place for students to learn, grow, and develop intellectually and socially. Parents support JFS' educational goals and help to provide a healthy community of caring adults. Teachers, staff, and administrators who continue to act on the principle that students come first. JFS is a school where a diverse population of students, families, staff, and community members collaborate to create a safe and friendly learning environment. Technologically literate students are actively engaged in a high quality standards-based instructional program that develops life-long learners and responsible, productive leaders of tomorrow. The mission of the James Franklin Smith Elementary School is to develop the intellectual, physical and emotional capacities of each child to the fullest extent possible so that each can lead a fulfilling life as a productive worker, citizen, and contributing member of our society. To become good citizens and responsible adults, all children need to think creatively and critically, and be able to adapt to change. They need skills in acquiring, filtering, processing, and using information to make effective decisions and to communicate with others. They will develop self-esteem by participating in a caring school community which appreciates diversity and develops in children tolerance, mutual, cooperation towards team goals and a love for learning that will last a lifetime. Students will understand they are a part of a local and global community. Students will learn in a non-traditional learning environment that will include various formats of technology and new age instructional strategies. Students will become 21st Century citizens who will embrace the impact of technology on our society and daily lives. Students will be active participants in their own learning. Teachers will be responsible for guiding the learning process, setting goals and fulfilling instructional standards set forth by district and state mandates. Students will learn to make good choices and choose a life style that will promote a healthy body, mind and lifestyle. Students of James Franklin Smith School will develop skills in the classroom that will transcend to the work place. Our students will be productive, compassionate and develop a firm understanding of the past and become active leaders in their future. 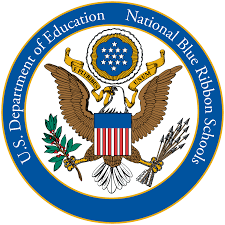 U.S. Secretary of Education Arne Duncan recognized 335 schools as National Blue Ribbon Schools for 2015 based on academic excellence or their progress in closing achievement gaps among student subgroups. Riding high among them was our very own James F. Smith Elementary School. The schools were celebrated at a ceremony in Washington D.C. In 2014, JFS was named a California Distinguished school. This award recognizes the outstanding achievement of our students and the hard work of our teachers and parents.